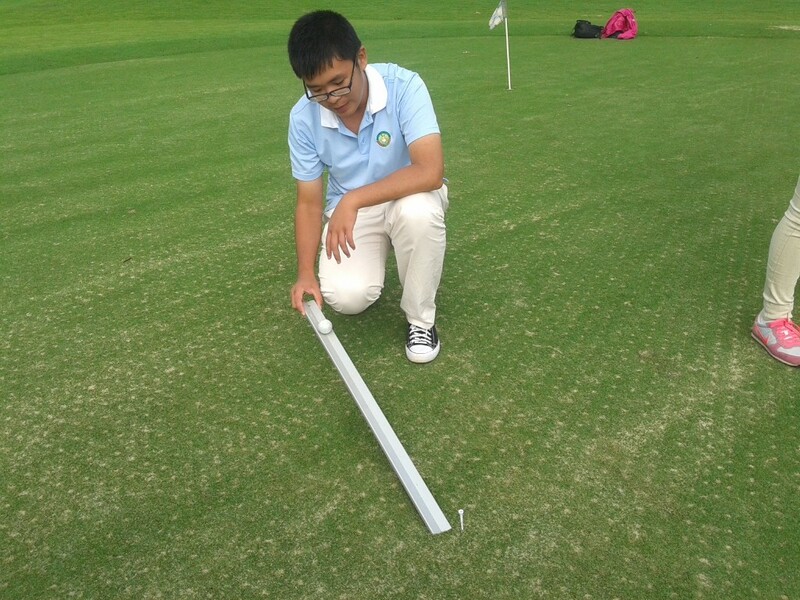 In the lead up to the release of my new ebook The Tyre Lever and Golf Ball, making green performance objective, I thought I’d share some of the insights I’ve discovered while going through the research and writing process. 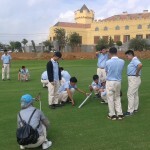 I’m currently on another of my teaching trips to China and have been applying what I’ve learned with my students as they explore the possibilities of making the measurement of turf performance an objective exercise rather than relying on poor or un-quantified data such as timing a wood as it traverses the green. Within that type of measurement there is potential for a good deal of human error, so if we can arrive at a series of easily repeated tests that make this more objective I think it will make for much faster improvements to green performance for many clubs. 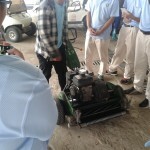 Of course, like many things related to bowling green turf, this work is largely being pursued in the world of golf and indeed it is golf focussed students I am working with at present. 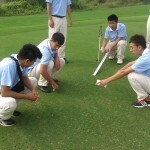 In the photos below you can see some of my students having fun with the tyre leaver and the golf ball as they make rudimentary measurements of golf green performance at a golf club on Hainan Island in China. Relating it all to the maintenance we do.